Eyebrow Arched Four Panel Door - Custom Solid Wood Entrance. Our doors are crafted from some of history's best designs, and this custom entrance door, built with planks of solid wood, is no exception. Joined using mortise and tenon, Peg And Dowel the solid thick structure will welcome you and your guests and speak volumes about your home . During the pioneering days of America, homes were simple structures designed to bring family and neighbors together. Porches provided a transition between the outdoors and the interior of the house, and doors were kept strong and simple. Old world techniques we create this thick Custom Entry Door. It will become a cherished family heirloom for many years to come. We stand by our work and give it the best guarantee around: built to last forever. 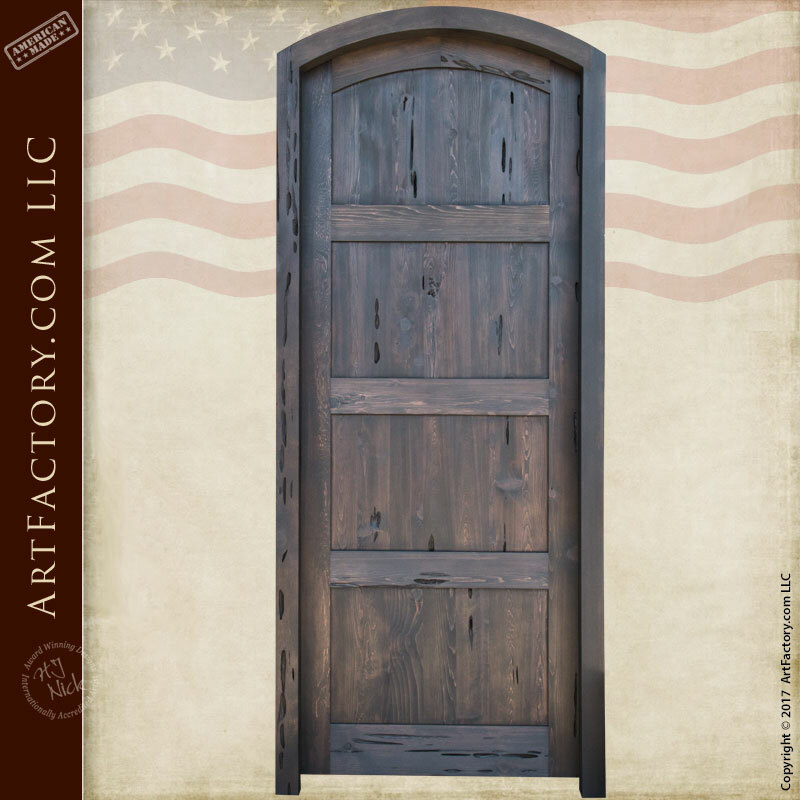 With real blacksmiths and woodworkers, quality craftsmanship, and classic design, we are a custom wood door manufacturer unlike any other. We don't make it until you order, that's how you know each of our custom wooden doors is truly built to be one-of-a-kind. Get started on your Custom Entrance Door today! Give us a call at 1-800-292-0008.